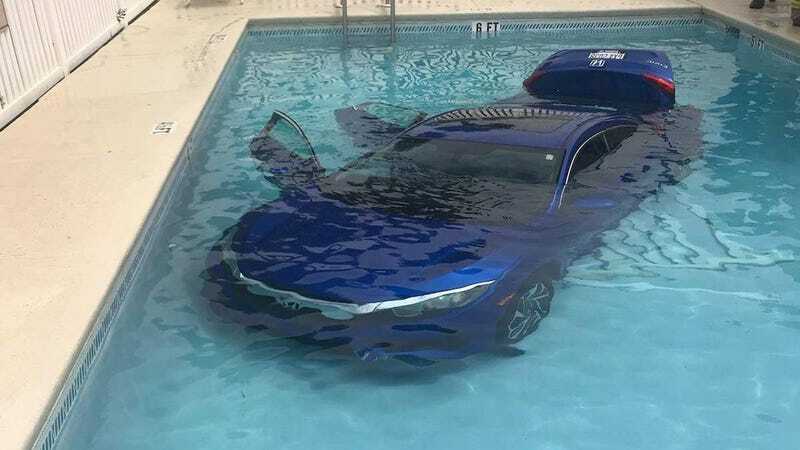 Much like all of us would like to do on a stressful day during our 9-to-5 work grind, a Honda Civic rolled into a Florida pool Tuesday afternoon. Who doesn’t love a good dip? Local police said driver of the car didn’t get it into park before getting out, and it rolled into a nearby pool with two passengers inside. They both made it out safely. Which is the most important part of going for a swim. Pools—more dangerous than you think. The Okaloosa County Sheriff’s Office shared the story on Facebook on Tuesday, saying a family was in the car when the mother got out to grab money from the apartment. The post said she thought she put the car in park, but it didn’t get there. 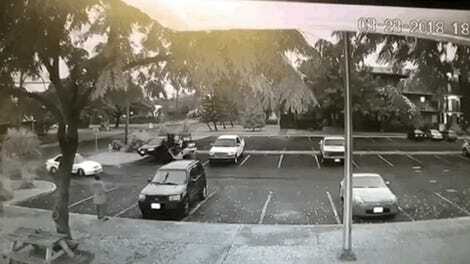 It rolled right into a nearby pool, with her husband and daughter inside. An officer who responded to the call around 2 p.m. that day said “all parties” were safe after the car took a swim—all parties except for the car, that is. The department didn’t give details on what the situation might have been in the car for the father and daughter to not notice it was rolling into a pool, or about how they got out once they took the plunge, but at least they did indeed make it out. Here’s hoping the Civic doesn’t end up on Craigslist with “slight water damage” anytime soon. And remember, it’s go for a drive, not go for a dive!!!! !